The DaVinci Med Spa team was at a conference this weekend and had a chance to talk to several people about their aesthetic concerns. Among the issues that stood out were wrinkles, skin tone, dark or age spots and body contouring. Each client could benefit from an individual consultation as each need is different. Among the many options to consider, often treatment with Botox, microneedling or IPL photo facial are the right choice for ease of use, safe and cost effective. Non invasive options for body contouring and skin tightening include radio frequency treatments such as the Venus Freeze. Practical Dermatology this March has reviewed some of the aesthetic trends taking the nation by storm. 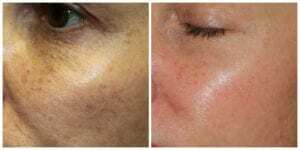 Top of this list is Microneedling. DaVinci Med Spa is ahead of the curve. We have been preforming microneedling, also known as Collagen Induction Therapy, for years. Our clients are happy we are seeing great results. This therapy has minimal discomfort, minimal down time and natural results.